This flavor delivers an exact creamy taste you dare not resist. The delicious yummy taste makes it irresistible in any of your recipes. 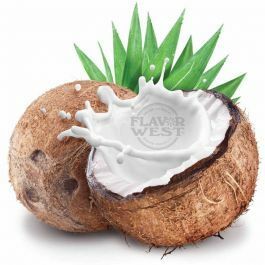 Type: Creamy Coconut water soluble flavoring. Ingredients: Natural and artificial flavoring, propylene glycol and alcohol. USP Kosher Grade Flavoring. Usage Rate:15-20% for E-use. Flavor Suitability: It’s suitable for: drinks, ice cream, candy making, baked treats, beverages, etc. Specific Gravity: 1.04 No Refunds on Flavoring.